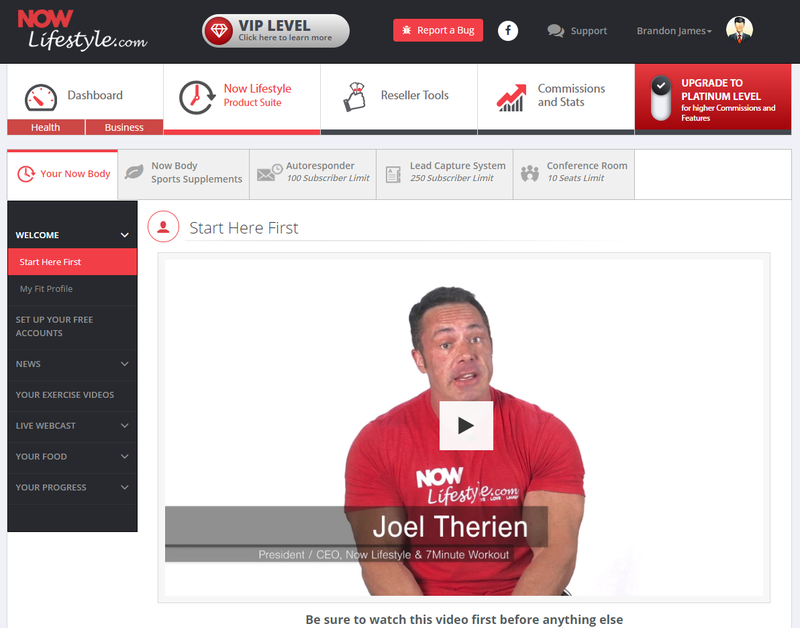 Now Lifestyle Review - Inside Look at VIP Area! Legit or Scam? 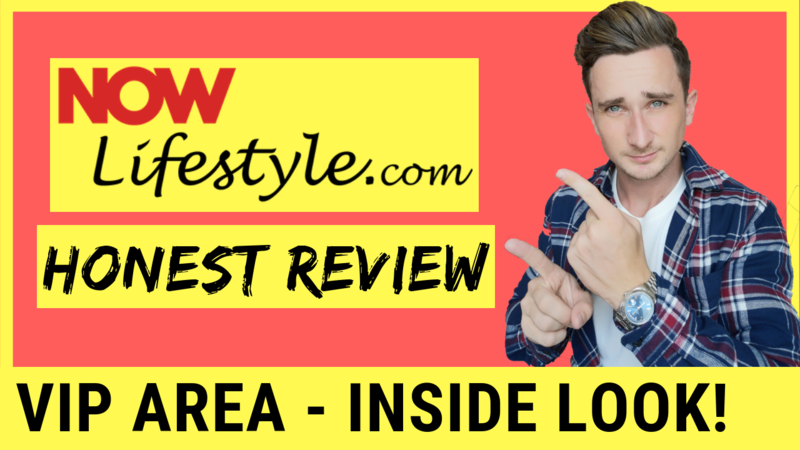 Now Lifestyle Review – Inside Look at VIP Area! Legit or Scam? Looking for a Now Lifestyle review? You're in the right place! In this review, I'm going to be showing you inside the VIP Members Area so you can see everything that you get if you join. Is this a legit way to make money online AND a way to get fit and healthy or is it just a scam? Keep reading to find out! Want To Check Out Their Site? 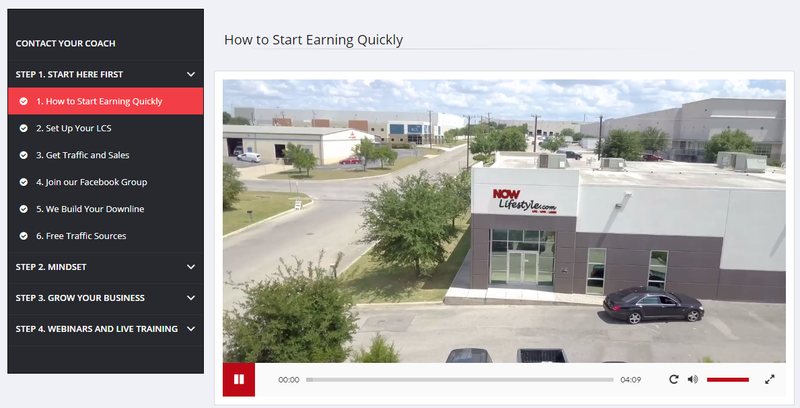 If you want to learn more about Now Lifestyle, I highly recommend checking out their website by clicking the button below! Now Lifestyle Review – What Is It? 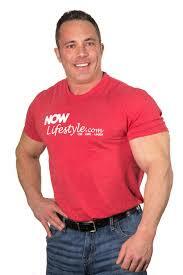 Now Lifestyle is new business opportunity AND lifestyle changing opportunity founded by Joel Therien. What do I mean by ‘Lifestyle changing'? Well, basically, Lifestyle Now has 2 main goals. One is to help you earn money online and their other goal is to help you achieve a fit and healthy lifestyle. So they offer different ways to cater to both of these things. 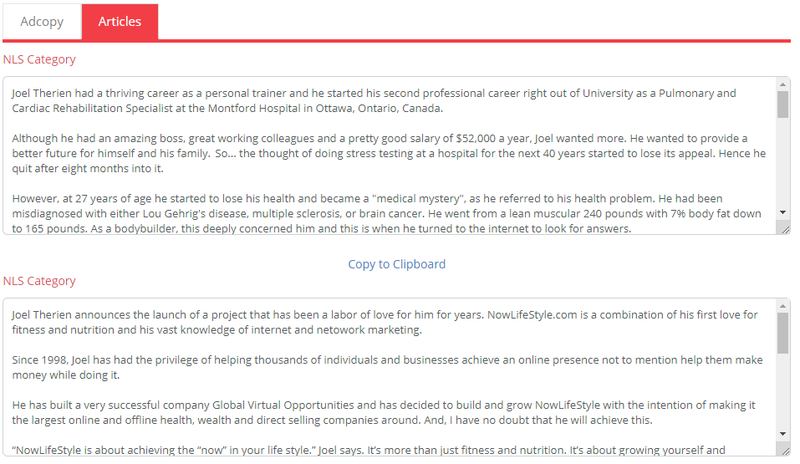 The whole concept of making money and having a healthy lifestyle is thanks to the founder, Joel. I think it's important you know who the founder of Now Lifestyle is, because you'll have a better understanding of the whole concept. As you can see, he's a pretty jacked guy. He's clearly very passionate about working out and being healthy. Well, he's also very passionate about business too. He's started many successful businesses including Global Virtual Opportunities and Millionaire Mindset Free Business Mentoring Program. So, it's safe to say that he knows exactly what he's talking about when it comes to both business and having a healthy lifestyle. Let's take a deeper look inside the website and see what we actually get. Inside the VIP Members area, you're given access to 2 main parts of the dashboard. One is for “Health” and the other for “Business”. Let's start off with the health and fitness aspect of Now Lifestyle, because that's their main focus here. I wouldn't recommend Now Lifestyle to anyone who's not interested in health and fitness for this reason. The whole thing is mainly centred around this. Inside the health dashboard is going to be everything that you could possibly need to help you achieve your goals of being fit and healthy. 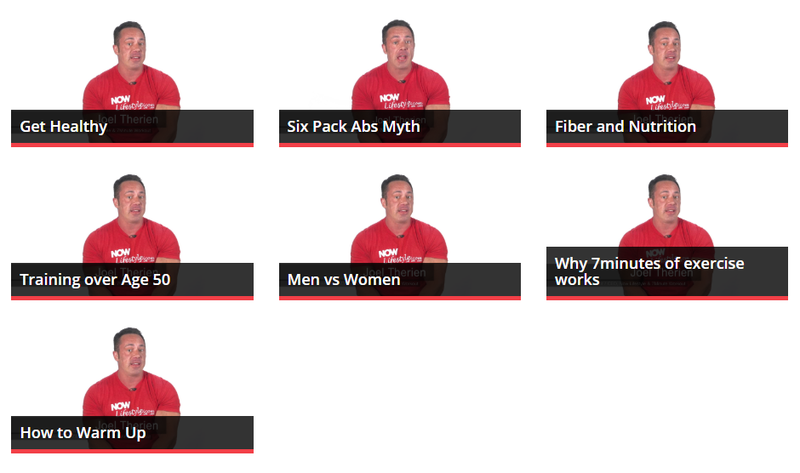 They have numerous videos from Joel Therien himself, teaching you everything you need to know. As you can see, he teaches you all sorts of important things when it comes to having a fit and healthy lifestyle, including myths, tips on fiber and nutrition and how to warm up. All very useful videos, especially for beginners. How Does Joel Help You? After you've finished watching all of these videos (you don't have to watch them all, I'm not over 50, so I skipped that one), you'll then have to fill out your “Fit Profile”. This fit profile will ask you 17 questions in order for them to be able to cater workout and nutrition plan specifically for you. 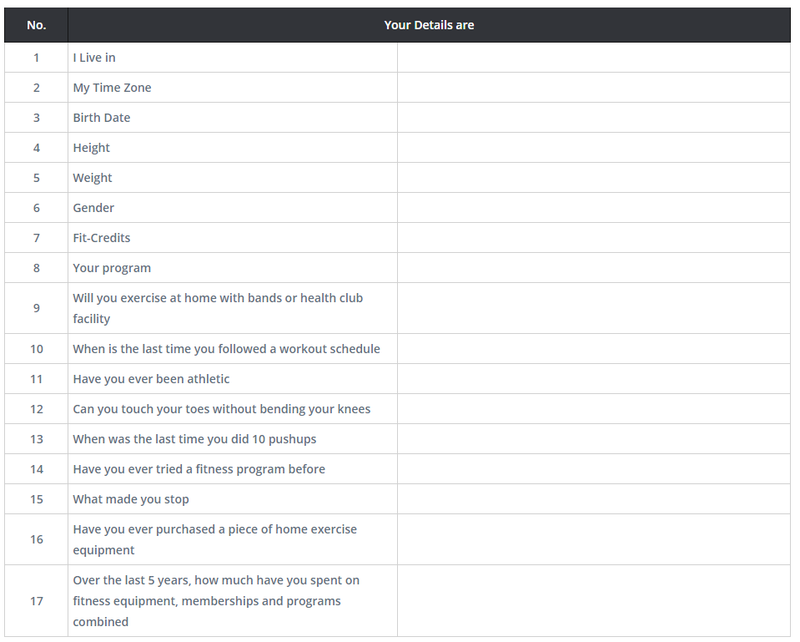 Once you've filled out your Fit Profile, you'll then be given your personalised workout and nutrition plan. Because I already lead an active lifestyle and have done for the past few years. The fit profile recognised this from my answers and gave me an advanced workout plan. But this will completely change and will be different for everyone. It all depends on the answers you give them. If you've never worked out before in your life and you want to workout at home, then they will cater the plan to fit those needs. Or if you're like me and workout frequently in a gym, they'll cater the plan for you too. A huge part about having a fit and healthy lifestyle is your nutrition. That's why keeping track of what you eat is very important. 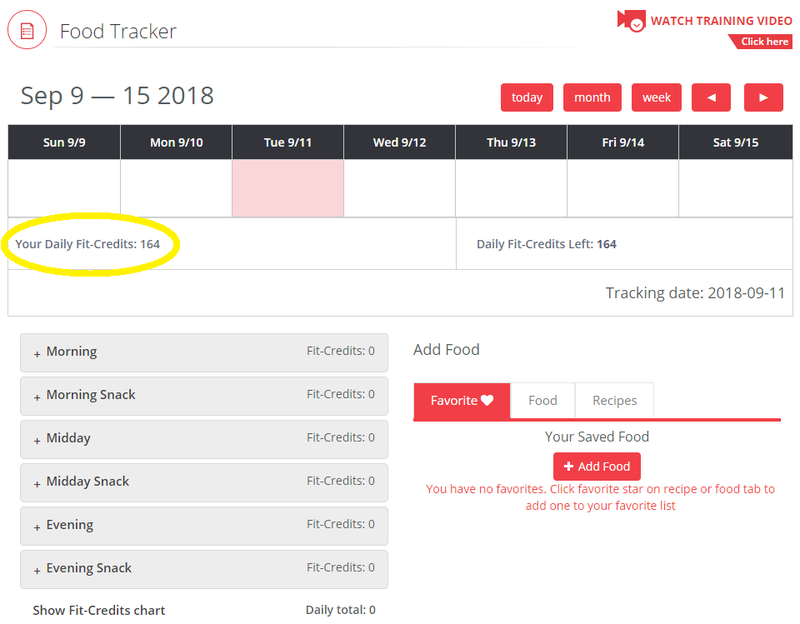 However, it's made very easy on the Now Lifestyle website with their food tracker that uses what they call “fit-credits”. Depending on your, age, height and weight, you will be given a certain number of fit-credits. These are similar to calories. Everything you eat will add up your fit-credits. My limit for the day is 164 fit-credits. So if I was to then enter what food I was eating, the credits would add up. As you can see here, I enter in that I ate one whole egg and that accounted for 5 fit-credits. Then I only have 159 remaining for the day. That's pretty much all there is to the Health dashboard. It's all very useful stuff, and if followed will help you achieve your goals. 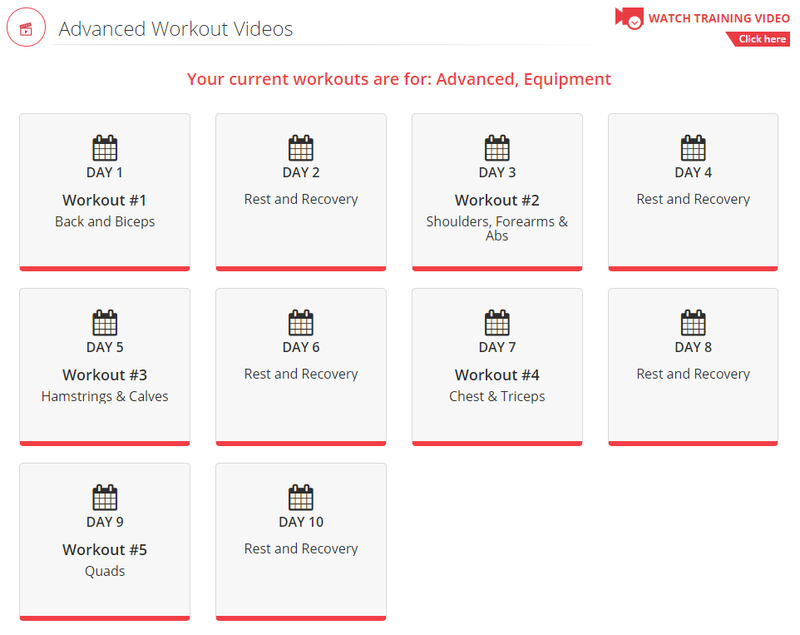 The workout videos are very good and easy to follow and the food tracker is easy to use too. Already Interested In Joining Now Lifestyle? Once you've finished setting up your fit-profile and have been given your personalised workout and nutrition plan, it's then time to get down to business. Now Lifestyle help you do just that in an easy to follow step-by-step way. As you can see, you're given 4 steps to follow. Each step with a few different modules and tasks to follow. 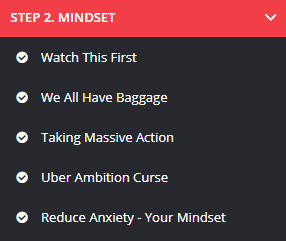 And each module with videos to show you what to do. Step 1 is the most important in teaching you how to set up everything you need in order to promote Now Lifestyle and sell it to others. For each person you get to sign up, you're going to earn up to 100% commissions from them. So it's definitely worth paying attention to so that you can make the most money you possibly can. Joining the Facebook group – Now Lifestyle have a very active Facebook group for their members. With everyone inside helping each other out, asking and answering questions. Even Joel himself and his team are active in there too. It's a very useful part. Building your downline – A downline is the people underneath you, or your team. You'll need a downline in order to make money. Getting free traffic – Traffic can be very pricey if you're paying for ads, so Joel will show you how you can make it free by using free traffic sources. I'm not going to go into details about this module. However, it is quite important. Once you start working for yourself, you won't have a boss telling you to “do this!” and “do that!”. This might sound crazy to you now, but trust me, it gets difficult sometimes. You will have days where you lose motivation. You won't want to get out of bed and do work. This is where this step will help you. Joel will tell you methods on getting in the correct mindset to get up, do your workout, eat right and get your work done! Step 3 is a big one. Also a very important one. It will teach you how you can keep growing and expanding your business. This is massively important because you're going to want to keep earning more and more money, so in this step, Joel will go over different methods you can use to do just that. Complete Product and Business Overview – This is going to give you an in depth guide of the product and business so that you actually know what you're talking about when selling to people and can speak confidently about it. Learn Your Members Area – Some tips on understanding everything you have available to you in the members area and how to utilise everything they give you. Our Compensation Plan – Learn about the commissions you can earn. Lead Capture System – Same as in step 1, but more in depth. 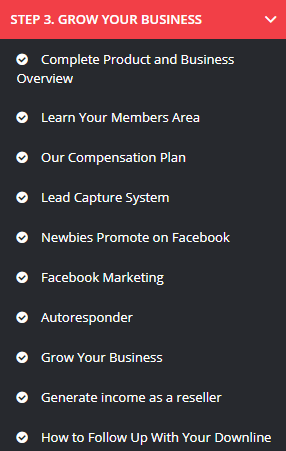 Newbies Promote on Facebook – A free traffic source, but a very good one. Facebook Marketing – Similar to step 5. 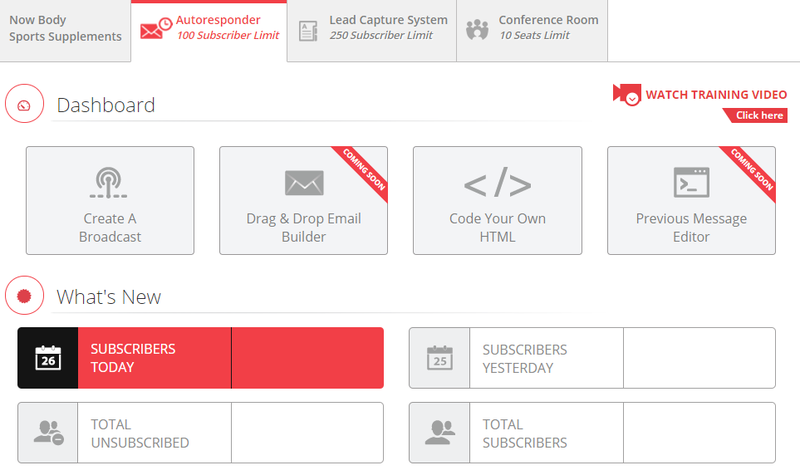 Autoresponder – These are essential when it comes to marketing. This allows you to make money 24/7, even while you sleep. It will automatically send out emails that you get from your LCS. It's actually amazing that they include an autoresponder in this price. Usually when you're setting up an online business, you will have to get this from a third part and it'll cost you between $50-250 a month for this alone. Grow Your Business – Important tips on growing your business. Generate income as a reseller – How to make money re-selling Now Lifestyle. How to Follow Up With Your Downline – Tips on helping out your downline team. This one is where you'll find a schedule of any live webinars or live training that's coming up. Joel and his team will host these almost daily. They're very important to watch and they're actually very interesting. You can learn a lot from watching these and you'll also keep up to date with any changes that happen within Now Lifestyle. 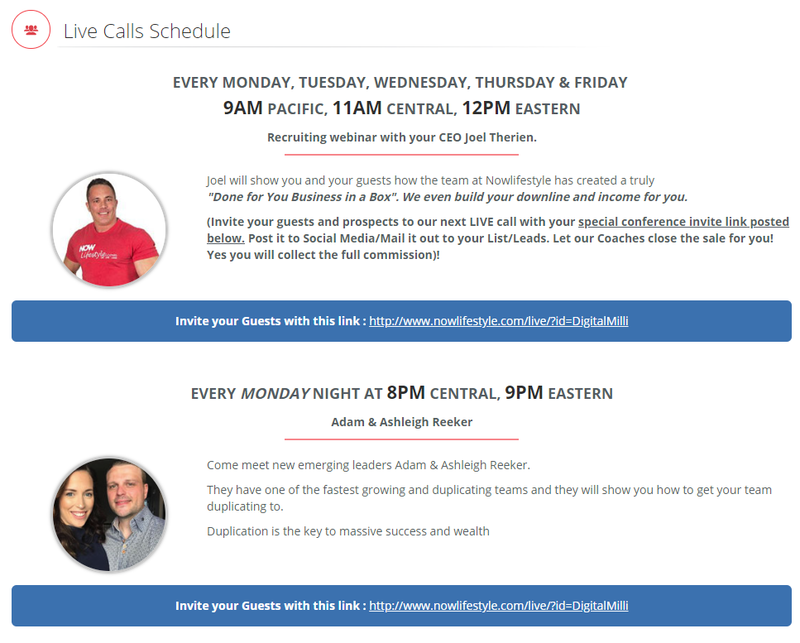 Here are just a couple of the live webinars that are happening. There are a lot more! You can click the image to watch the webinars as a guest. Take note of the time and come back when it's live! 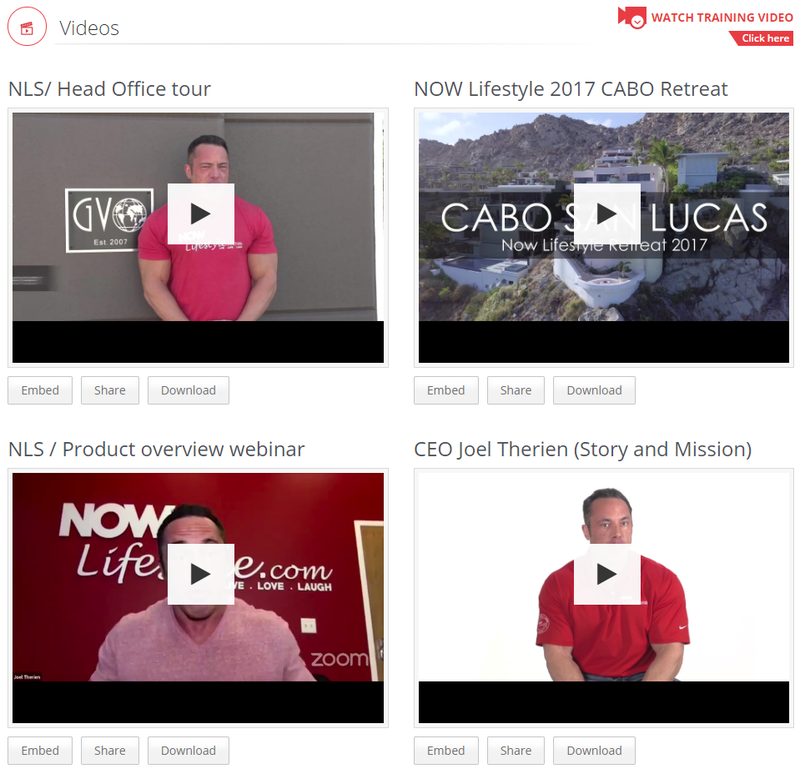 An important part of Now Lifestyle is the tools that they give you to help you when it comes to reselling and earning your online income. They have some really good stuff that's going to greatly help you and make everything very easy for you! They have a massive selection of about 50 different banners for you to use. You can easily download them or embed them into your websites. 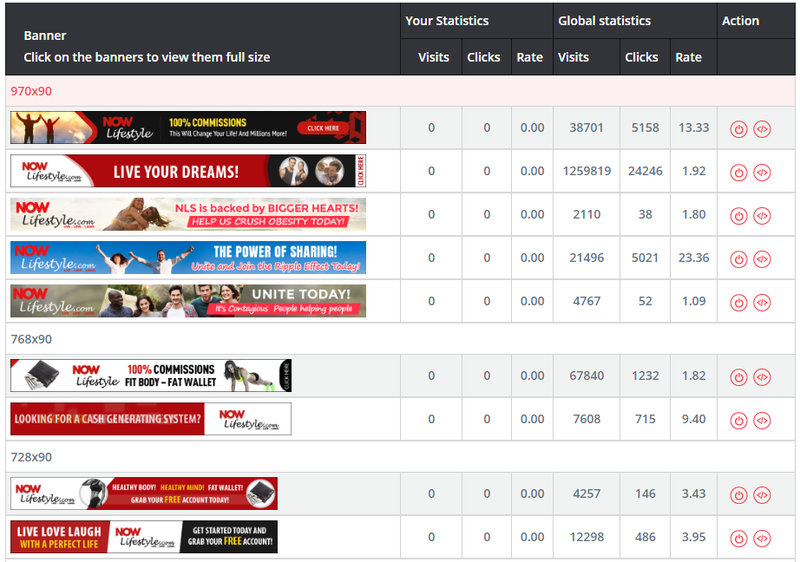 They also give you some useful statistics to help you see which banners perform the best for you and for everyone else. Banners help in making your websites look and feel more professional which could potentially result in more sales! They also have a big selection of pre-written articles that you can use for your websites. You can simply copy and paste these into your website. I wouldn't recommend that, however. I would recommend you use these as a sort of template. Just change up the words a bit and make them your own. This will help you when it comes to ranking in search engines. Members are also provided with numerous videos to download or embed into your websites. Videos are a great way to get sales. Joel and his team have them all ready and waiting for you to use. 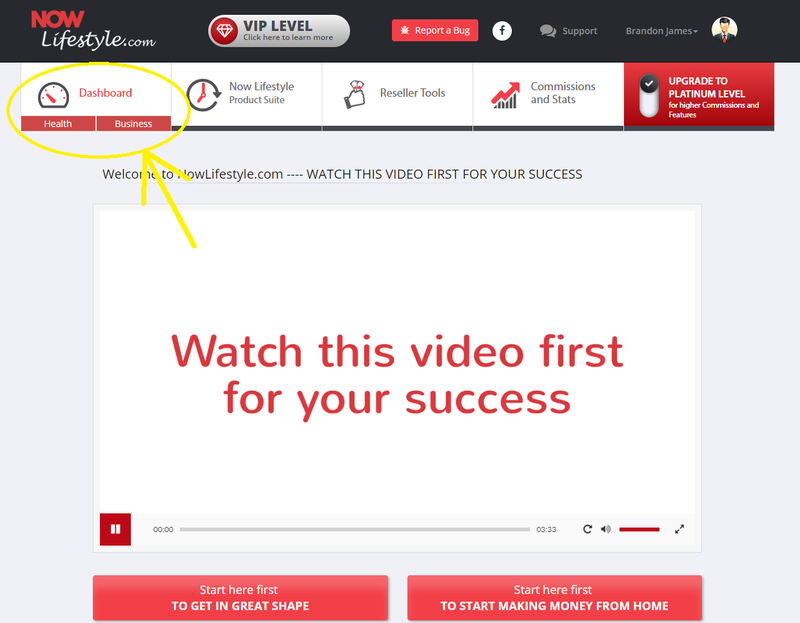 As I mentioned earlier in my Now Lifestyle review, they also include an autoresponder for VIP members to use. This is actually a really big deal, because like I said, this allows you to easily make money 24/7 and automate everything for you. It will make your work load a lot less. It's an essential when it comes to marketing. The fact that they have one included for you is huge! 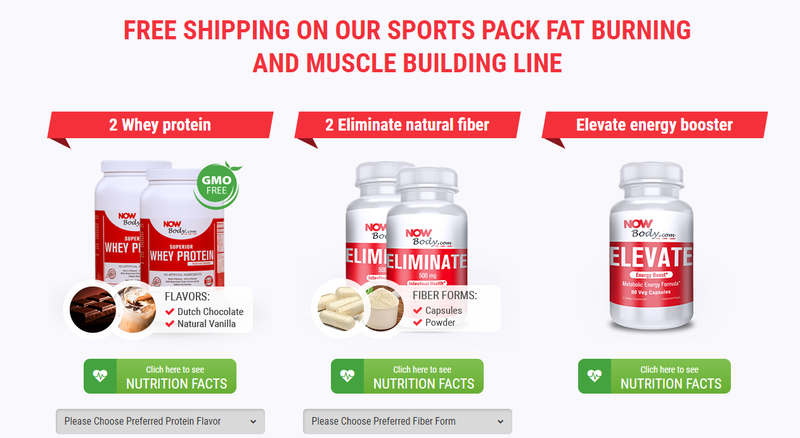 They also have nutritional supplements that you can purchase yourself or earn commissions from, including whey protein, fiber capsules and powders and energy boosters. You will earn commissions from anyone in your downline that purchases these supplements. You've now basically seen everything you're given inside the VIP Members area of Now Lifestyle. So now, it's entirely up to you if you'd like to join or not. As I've previously said, if you're interested in both making money online AND having a fit and healthy lifestyle, then I would definitely recommend it to you. However, if you're not interested in BOTH of these things, then I wouldn't recommend it. I think this isn't the platform for you. The CB Cash Code Review – Scam or Legit?? 30 Days Summit Review – Inside Look & FREE Bonuses!